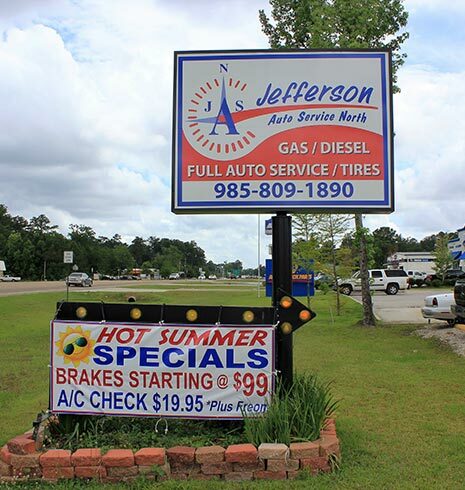 Steve Fank, Sr., a mechanic with over 40 years of hands-on auto repair experience, and his wife Vicki opened Jefferson Auto Service North in Covington in September of 2009. 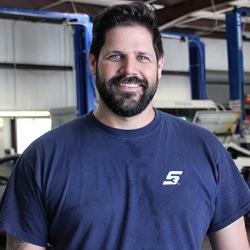 Steve has been working on cars since he was 15 years old, and owning and running an auto repair shop is a lifelong dream. 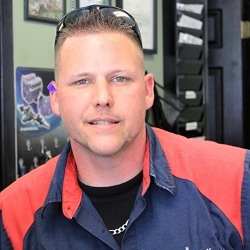 A true non-corporate mechanic, Steve had always worked for independent and family-owned auto repair shops, happy to offer drivers a dealership alternative. 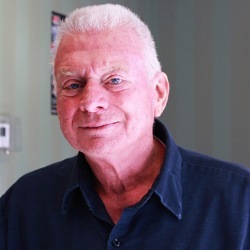 With his own business, he knew he wanted to continue the tradition of the trusted local auto repair shop, providing honest work at fair prices. Steve’s friends all knew his goal was to own an auto repair shop. When the owner of a race car service facility in Covington wanted to get out of the business, a friend let Steve know, and he checked it out. He purchased the building and equipment at 1429 North Collins Boulevard the same day, and the rest is history. Steve is ASE certified, has been in the auto repair business for 41 years, and is very knowledgeable on many, many vehicles. His family, friends, and other mechanics don't think there is a vehicle he can't repair. Steve is a hands-on owner at the shop Monday through Friday. He is always willing to help someone, whether it be car care-related or personal. Steven has been a service writer at our shop since we opened in September of 2009. He is very reliable, hardworking, and extremely good with customers. In other words, he really enjoys his job, and it shows. Steven orders parts, answers phones, writes work orders, calls customers with pricing, and picks up parts when needed, along with giving rides to customers if needed. 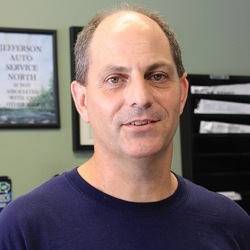 David has been a service writer at Jefferson Auto Service North since November of 2015. He is an all-around dependable and hardworking guy, whether ordering parts, answering phones, or helping customers. 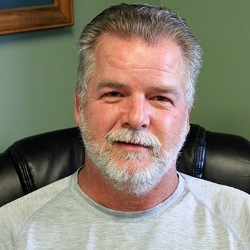 David has been a service writer for over 20 years, and has worked in part houses for many years. Bill has been with us from the day we opened the doors in September of 2009. He is friendly, great with customers, and loves to talk. Those who know him say he always has a smile in his voice, and they've never seen him upset. Bill always finds the good in people, but he, himself, is honest to a fault. He attends the BNI meeting for us, and comes to the shop most days to see if he can help in any way. Bill always goes the extra mile to help someone. 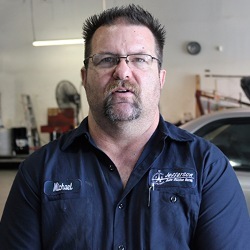 Michael has been with us since May of 2016, and has been in the automotive business for 15 years plus. He handles most of our fleet account work. Rick is our technician and foreman. He is ASE master certified and has been working on cars for over 15 years.